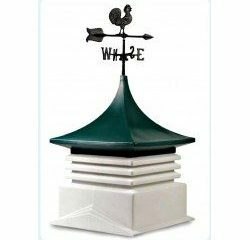 A Cupola for your new Shed Kit – Whether you are shopping for a new shed kit or have an existing wood storage shed consider adding a cupola for your roof. Shed cupola’s are both functional and stylish. Functional because they provide additional ventilation for your storage shed kit. Stylish because you can choose the color combination that best suites your tastes as well as a decorative weather-vane.